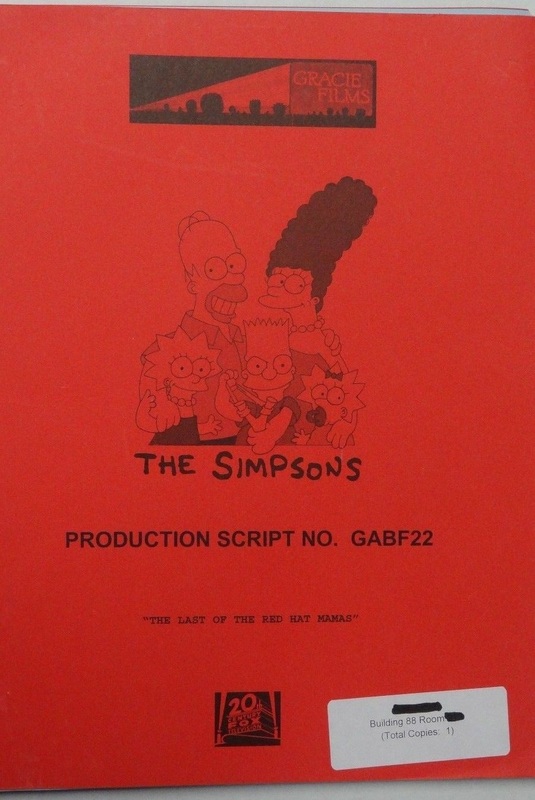 ← 362 "See Homer Run"
"The Last of the Red Hat Mamas"
The Couch is a Nest, and A Bird flies In and Feeds Homer a Worm. 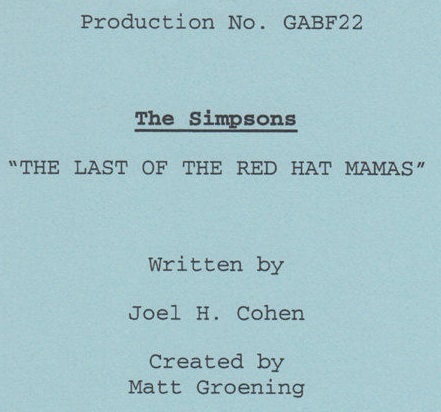 "The Last of the Red Hat Mamas" is the seventh episode of the seventeenth season of The Simpsons. It originally aired November 27, 2005 on FOX. It guests stars Lily Tomlin as Tammy. "Homer ruins Marge's chance to make friends and, just when she thinks she will never have friends, a woman called Tammy offers her to join a group called "The Cheery Red Tomatoes"." The Simpsons children participate in the annual Easter celebration at Mayor Quimby's mansion. When Maggie is unable to gather any Easter eggs, Homer decides to take the other children's eggs. Maggie is delighted, but Hugs Bunny, who is refereeing the egg hunt, voices his displeasure. Homer and Hugs get into a huge fight. Meanwhile, Marge goes on a tour of the mansion, led by Quimby's estranged wife, but things quickly go downhill when the fight spills into Quimby's office. Marge is embarrassed by Homer's childish actions, and her friends determine she is bad news and shun her. At home, Marge tells Homer exactly how she feels, leading Homer to try to make amends by trying to find some new friends for Marge. He goes to the supermarket and begins pursuing a potential friend, but the woman (thinking she is being stalked) winds up running into a display of cans. Where Homer fails, Marge succeeds. At a restaurant, she meets up with members of the Cheery Red Tomatoes. She quickly impresses the group's leader, Tammy (voice by Lily Tomlin), and - after participating in a few low-key meetings - is soon invited to become a member of the women's group. 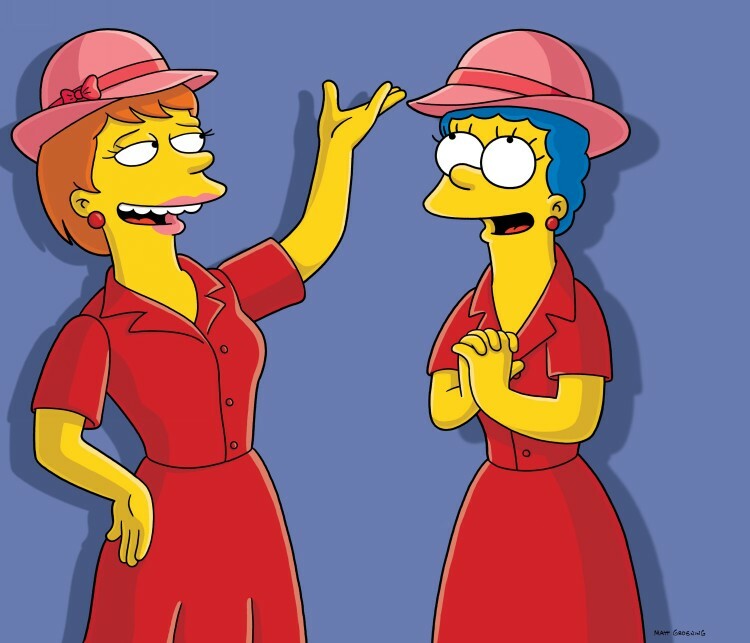 However, when it comes time for the initiation, Tammy asks Marge to assist in their efforts to break into Burns' mansion to steal $1 million. They explain they are a group that raises funds for charity, and that Burns once promised them that amount to donate to a children's hospital; however, at a press conference, the selfish millionaire announces he plans to keep the money for himself (to undergo a procedure that will extend his life by 10 minutes). Marge tells the Cheery Red Tomatoes members she cannot go ahead with the robbery, however bad of a person Burns is, but when told her membership rides on her participation, she decides to cast her morals aside and proceed with the robbery. At home, Homer finds Marge's Tomatoes folder laying around the house and after rummaging through it, learns about the group's plans to break into Burns' safe. He tries to warn the police, but they are too busy watching Officer Eddie direct traffic. Meanwhile, Marge is able to sneak onto Burns' grounds through an air duct and unlock a gate; from there, the women crack open the safe and begin helping themselves to the expensive jewels and other items that sit inside. As the women are leaving, Chief Wiggum and Burns arrive at the mansion to arrest the women. Burns is disgusted by Chief Wiggum and Lou arguing over Wiggum's pants size. Homer arrives to stop Marge from doing something she'll regret, but finds himself a prime suspect in the heist. However, once everything is explained, Marge realizes she doesn't need the group to make friends; after all, she already has one very special friend - Homer. Marge does, however, give the group a Fabergé egg she took. In a subplot, Lisa is seeking summer opportunities and settles on traveling to Italy. She tries to convince Principal Skinner that she speaks fluent Italian, but the principal is skeptical. Rather than putting her on the spot, he decides to test Lisa later. This gives Lisa time to hire a tutor, who turns out to be Milhouse. Milhouse is actually quite good at teaching Lisa, and before long, Lisa is speaking fluently and apparently forms a friendship with Milhouse. However just as it seems that Milhouse's unrequited feelings for Lisa would be reciprocated, he is caught with a girl named Angelica and then Lisa starts beating him up. Modified on September 29, 2017, at 11:35.